Well they say, it never rains, it pours! That certainly seems true of my life and the weather. November has been such a crazy month. For example, I don't often know people who are in hospital and in a fortnight 4 people around me are in hospital. As for the weather, we had a hot spring and now the first day of summer brings us storms. I rode to work and took heed of suggestions I leave early. I rode through heavy rain and soon after I got home it cleared up. Sod's law. But at least it wasn't too wet going to work and I didn't have to deal with a crowded damp public transport system. But enough talk of the weather. Let's have a look at my kitchen. Firstly pizza. Tonight there was pizza. We have had tonight's Coburg Night Market and tomorrow night's carols service cancelled due to the weather. I had planned to have dinner at the market but instead made pizza at home. It would have been fine but the oven kept going off. Do heavy rains affect gas supplies? The pizza at the top and above is one I made a few weeks back with asparagus. 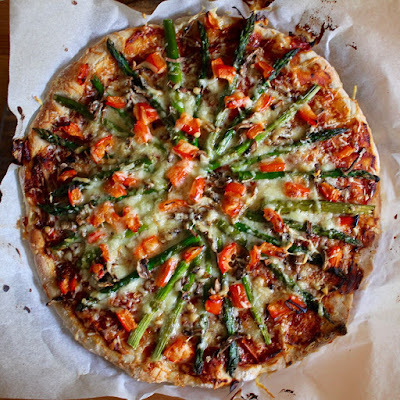 It made me think that asparagus looks pretty but is not an idea pizza topping. 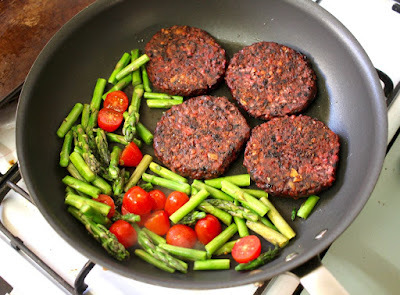 One busy night I bought some Bean Supreme beetroot and black bean burgers, fried up some asparagus and cherry tomatoes. 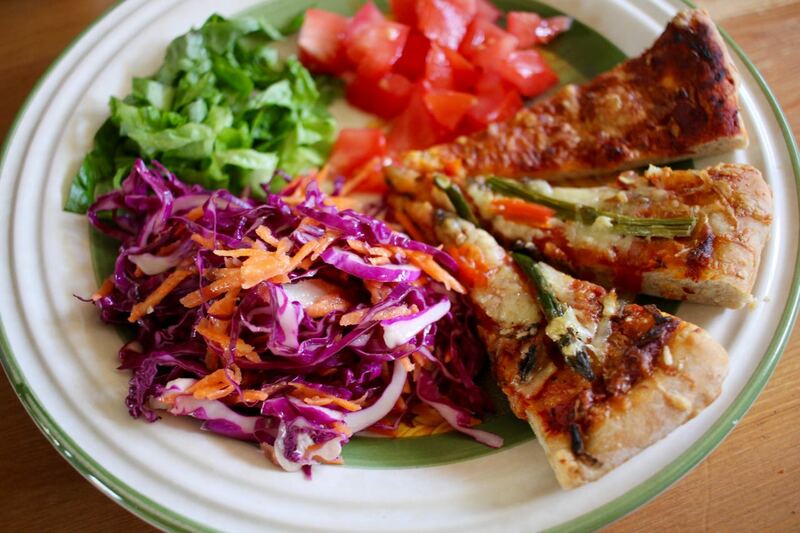 With some bread rolls, it made a delicious quick meal. 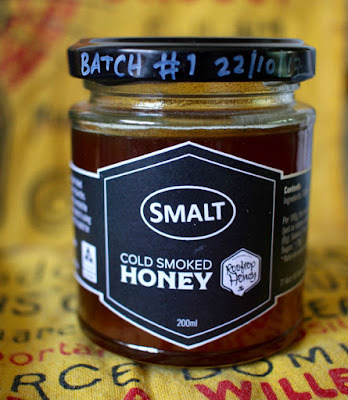 We've enjoyed Smalt fudge and when I saw that local company Smalt had Cold Smoked Honey I had to try some. It is odd to smell the smoky flavour and taste the sweetness but I like it. 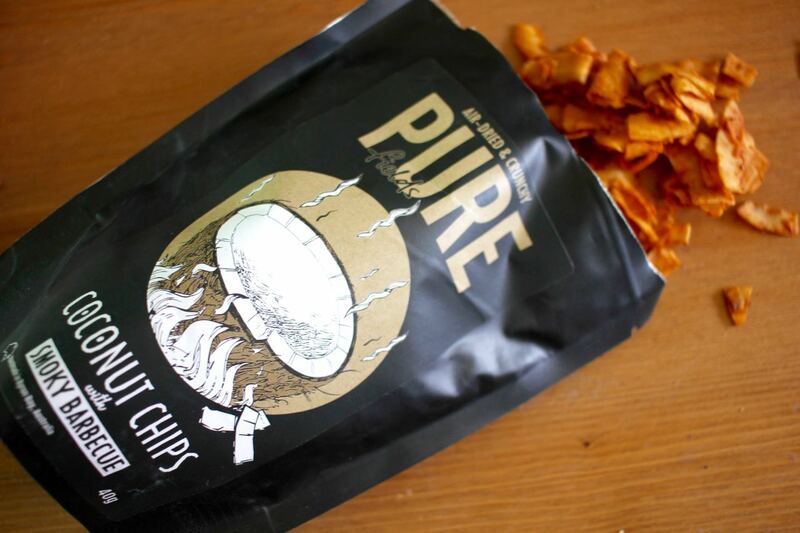 The smoked flavour takes the edge off the tooth aching sweetness of honey. I really want to bake with it but I also just want to enjoy it on crumpets. We had fun making watermelon pancakes a few weeks back. We made green pancakes, spread them with strawberry chia seed jam and then dotted them with choc chips. The red could have been a bit pinker but it was pretty good and tasted delicious. One of the purchases that has perplexed me the most is these Pure coconut chips with a smoky barbecue flavour. They tasted really good, though quite rich as coconut is liable to be. I really wanted to try them in Joanne's recipe for Spiced Braised Lentils with Tomatoes and Toasted Coconut. What bamboozled me was the ingredients list. I could swear there was no coffee in these. I am sure I would have noticed if there was just coffee flavouring them. And where did the red come from. 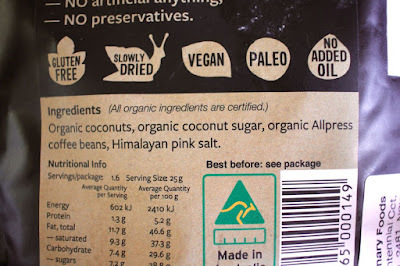 Finally I checked the website and found that there must have been a major typo on the packet because the smoky barbecue ingredients are listed as " Organic coconuts*, organic coconut sugar*, onion powder, garlic powder, paprika, cayenne, Himalayan pink salt". With all the warm weather, we have been drinking smoothies for breakfast. Our strawberry plants have been producing like crazy. I have had quite a few mornings of bringing in a large handful of berries from the garden. Sylvia, contrarian as ever, has decided she does not like home grown strawberries, only bought ones. The home grown ones are really soft and melt in the mouth. 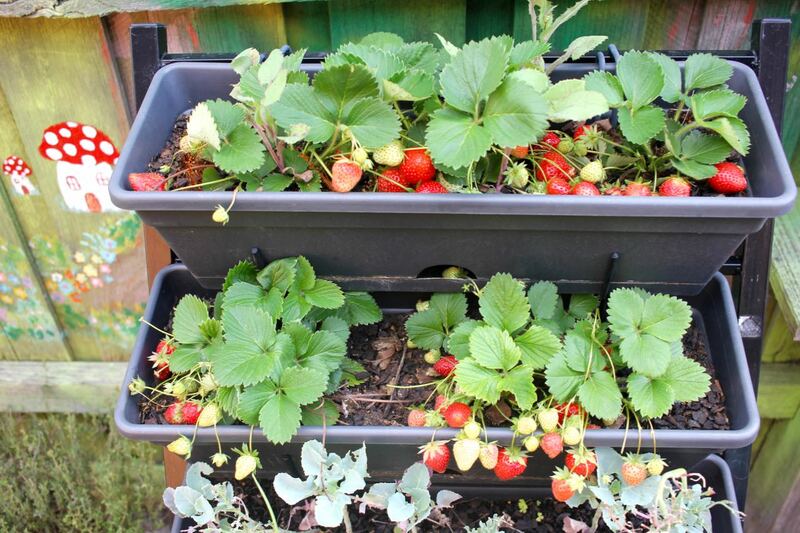 The strawberries are growing well thanks to my mum. Not only did she buy the plants for us but she also bought some netting to put over the strawberries to stop the birds and insects eating them. (No it is not on in the above photo). We have not used netting for our blueberry plant and it is not boasted many berries. 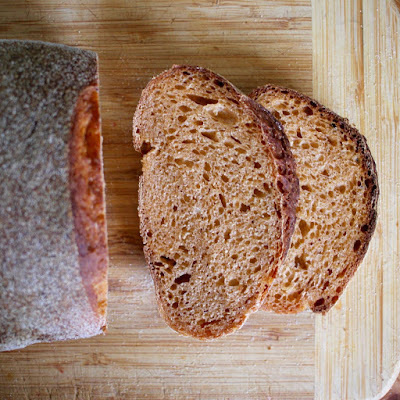 I've been enjoying experimenting with my favourite overnight sourdough bread. This version had 1 cup of grated parmesan cheese, 1/4 cup of tomato paste, 1/4 cup olive oil and 1 tbsp honey added to my regular recipe (with salt reduced to 12g). It was good but not as much flavour as I had hoped. I enjoyed some bread rolls for lunch and also had fun making a few into fish. Here is a close up of some of my tomato and parmesan bread. It was lovely, especially in a fancy sandwich with a cold Wild Rice Burger. I love listening to the discussions about advertising on Gruen. They recently talked about special editions of favourite brands. For example Tim Tams do lots of special editions that cost more and have less biscuits in a packet than the regular Tim Tams. 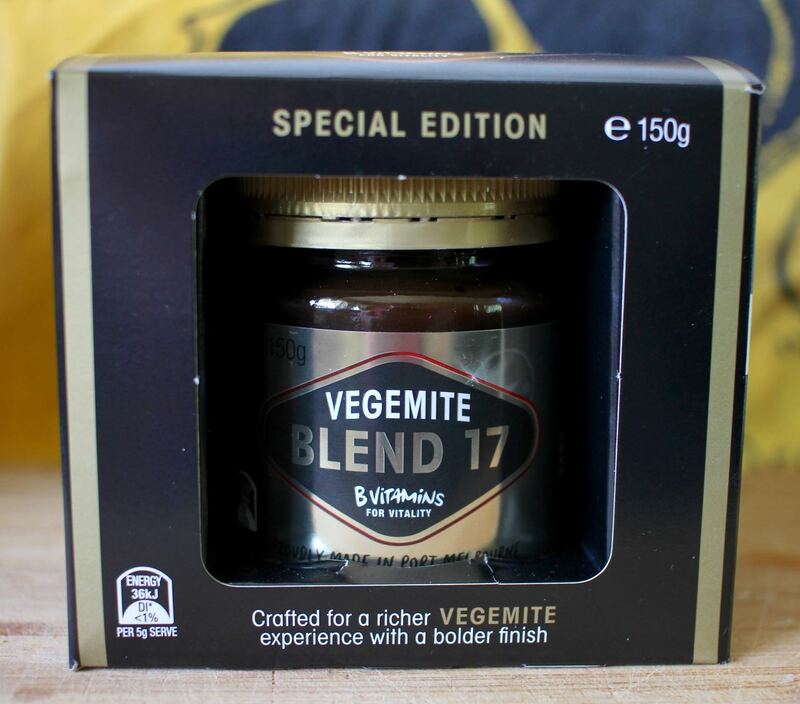 They laughed at the idea of this Vegemite Blend 17 limited edition jar. So did I. Yet when I saw it in the shops I still wanted to try it. We have not quite got through the last jar so I still haven't tasted it. 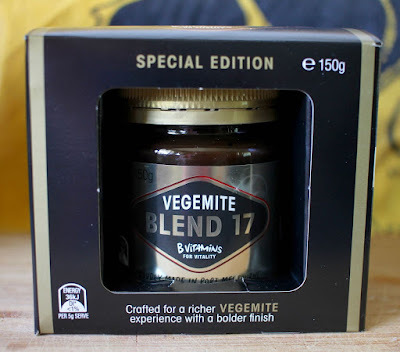 Meanwhile for those looking for a cute gift idea, I noticed that our local KMart is doing personalised Vegemite jars. For the person who has everything! The supermarkets have lots of Christmas decorations and stuff that is just a cynical exercise in marketing and filling our houses (and landfill) with stuff we don't need kicking about. 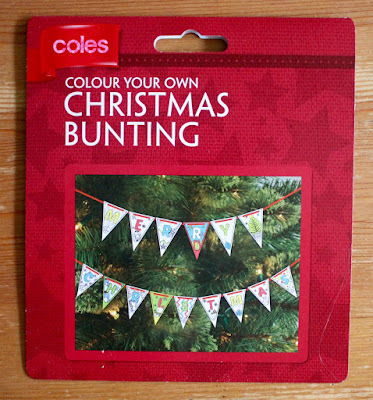 But I liked this idea of Colour Your Own bunting from Coles. Sylvia did too and we already have it hanging in the house. She has embraced Christmas with a passion this year. 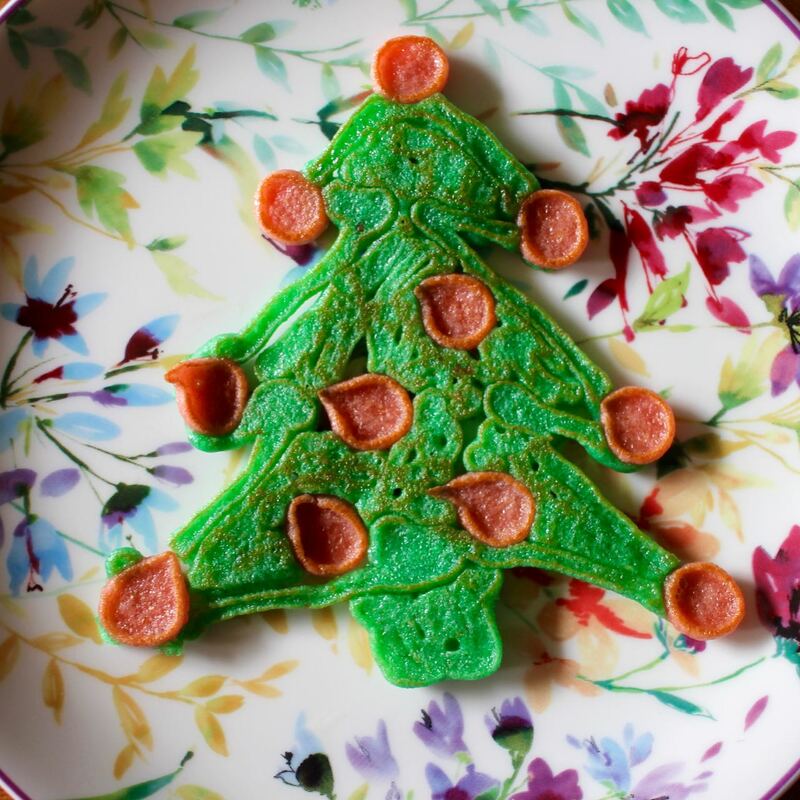 When we made squeezy bottle pancakes recently, Christmas shapes were a must. Such as this Christmas tree. I have been resisting the Christmas bug as much as possible. For me, 1 December is the day to start taking out all the Christmas books, CDs, and decorations (the Christmas tree is still a couple of weeks away). Sylvia has been sneaking out what she can over the last few weeks but today she knew I would let her take what she wants so this morning she took as much out as she could from the shelves and after school, got our everything else. There is no avoiding that Christmas will be here very soon. Hope you are coping with the Christmas onslaught! 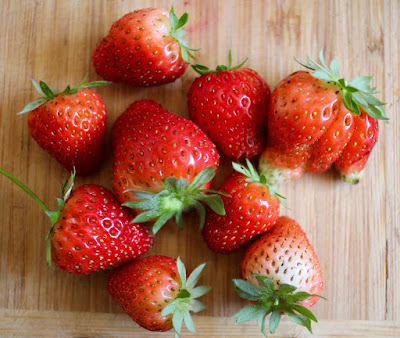 Your strawberries are beautiful -- netting to keep birds away is a great idea. They especially look good because we are heading into winter, though our Christmas downtown special night is also tonight. Always love these posts :) And really love the sound of that honey! I should have read this post before my last comment with hopeful notes about the weather :P Clearly you did not have a fine evening for the night market, or for your cycle! You do, at least, have some lovely things in your kitchen and I can spot more summery lighting in your photos. 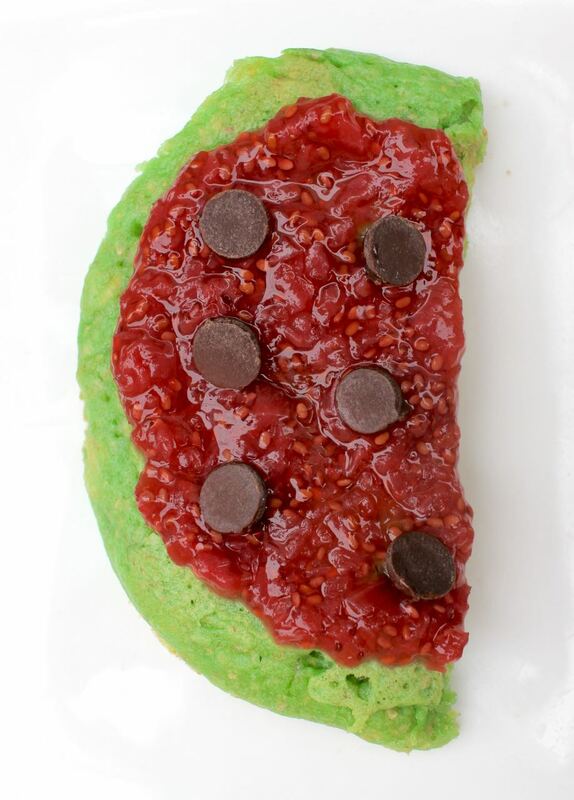 The watermelon pancake is brilliant and I also like the idea of DIY bunting. Your strawberries are very impressive too. special edition everything! 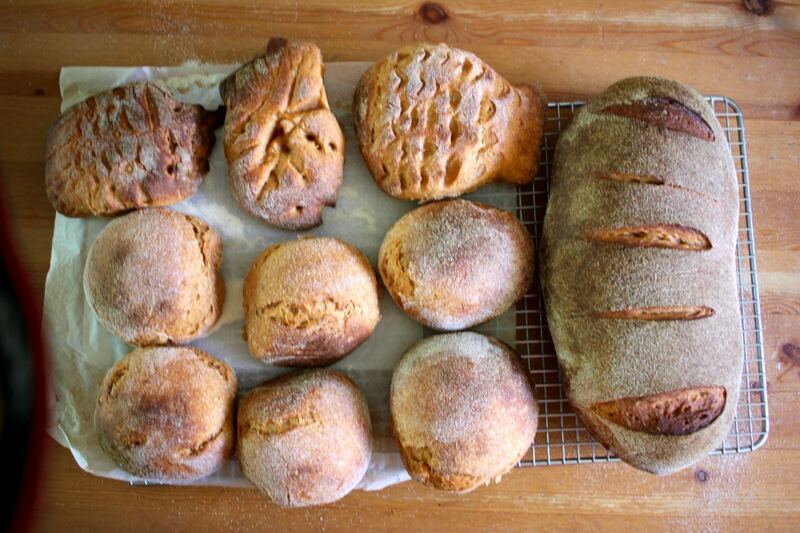 Your bread and pizza look great. I always feel the urge to bake at the wrong times, like when it is really hot. And what is up with our weather, some of our local areas have flooded a bit but I haven't seen much close to home despite the warnings! 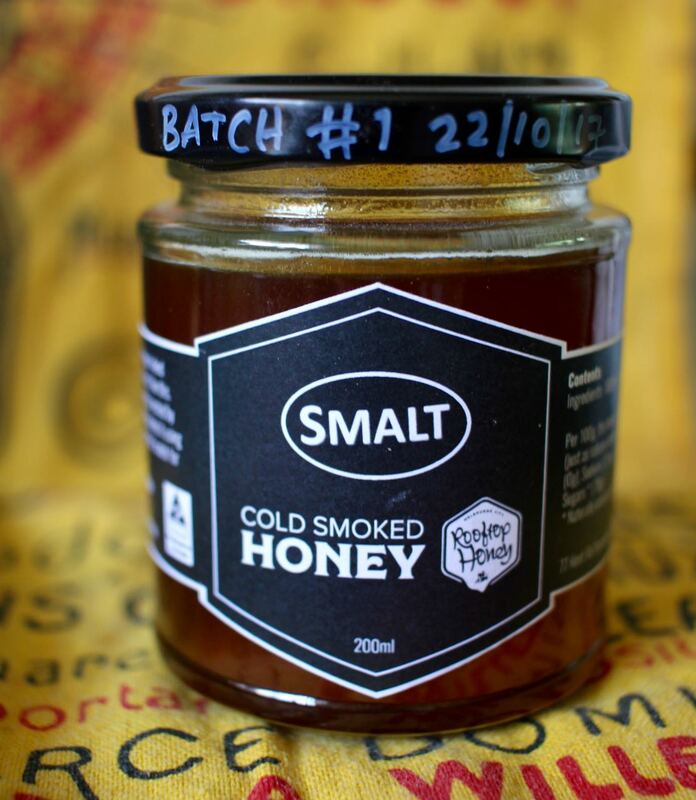 I love the idea of smoked honey! I read that the weather in Melbourne is terrible this weekend, has it been heavy rain? The watermelon pancake is utterly cute and gorgeous at the same time. I am intrigued by the smoked honey, esp. as I am beginning to like smoked flavours more and more as I get older. It always makes me smile, it is winter here and you have strawberries growing in your part of the world. I love that you will be making your own bunting. I have plans to do so, but never get round to it. You have some fun things in your kitchen. I like the watermelon pancakes and the smoked honey. I love all of your pancake creations! The watermelon and Christmas tree look so cool! I still have not yet decorated for Christmas. I'm so behind of everything right now. I hope everyone you know in the hospital gets well soon. What a FUN post! And that pizza is picture-esque! Johanna, your homegrown strawberries (especially that "triple" one) and Sylvia's insistence on store-bought made me smile. So did your Christmas-y looking pancakes and Wild Rice Burger recipe! Thanks for your vegan version. LOVE your addition of smoked paprika. Happy Holidays!